What makes a dream house may be a matter of individual taste, but modern homemakers all agree on the need for smart, classy and innovative appliances that enhance their lifestyle. Cleanliness is naturally a top priority, and removing dust and germs from beds and fabrics is a breeze with the Raycop line of UV anti-allergy vacuum cleaners from Korea’s Bukang Sems Co Ltd. The devices use a patented three-step process — vibrating, sterilising and double filtering — that is able to kill 99% of bacteria and eliminate almost 94% of dust mites on mattresses, linens and other fabrics, according to Sales Division Manager Gao Yan Yan. They are even able to counteract the H1N1 influenza A virus, she claims. ”The Japan Food Research Laboratories has found that Raycop is able to kill 77% of the H1N1 virus [on the surfaces being vacuumed] in two seconds, and 99.9% in one minute,” Ms Gao says. Cleaning starts when a pad vibrating 3,600 times per minute near the nozzle shakes minute particles and dust mites free of the fabric. Then, a UV-C sterilisation lamp with a 253.7-nanometre wavelength kills bacteria, viruses and other microorganisms. Finally, a powerful motor captures dust, allergens and dead skin cells while a microfilter ensures the trapped particles cannot escape. “This also means the air that comes out of the vacuum cleaner is clean and bacteria-free,” Ms Gao explains. The Raycop collection comprises three main lines — the top-selling BK series of lightweight, hand-held models available in red, blue or white; the most powerful MG series with a 450W power rating; and the latest AP series with a long removable handle designed for cleaning carpets. 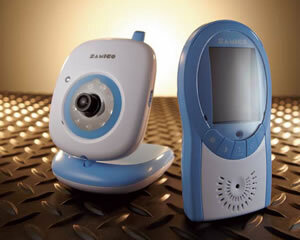 Housework may keep mothers busy, but minding their young ones at the same time is no problem with the 2.4G wireless digital baby monitor model BD901 from Hong Kong’s Samico Electronics Ltd.
“The product features a 200-metre transmission range in open space and is highly resistant to interference from Wi-Fi, mobile phones and so on,” says Marketing Manager Sam Ying. 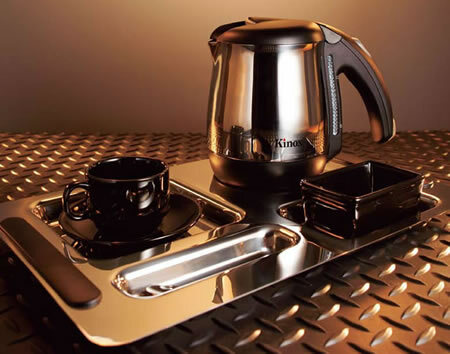 When it comes to unwinding after housework, nothing beats a cup of tea or coffee — a little pleasure made easy with the hot beverage stations from Hong Kong’s Kin Hip Metal & Plastic Fty Ltd. Model 3012T1, for example, includes an 18/10 stainless steel electric kettle, a tray with an inbuilt tamper-proof plug, porcelain cups, saucers and a condiment holder. 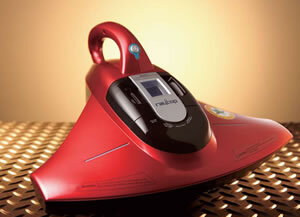 “The heating element is concealed in the one-litre kettle for maximum safety and minimum cleaning. A cup of water boils within one minute. There is also an auto switchoff function as well as boil-dry and overheat protection,” says Sales and Marketing Executive Sirius Ngan. “The model is especially popular among hotel clients,” he notes, adding that its unit price is US$47.27 FOB Hong Kong/Yantian. Catering to gastronomic enthusiasts, meanwhile, is Better Home Appliance Co Ltd, a Chinese mainland manufacturer of stylish induction cookers such as its latest sell-out model BT-200D2. “It features a sleek black touch-control panel with a ceramic glass surface that is slightly slanting and thus more comfortable to the touch compared with the flat control panels in earlier models,” says General Manager Assistant Nicole Luo. The single-hob model measuring 29x36x6.2cm is designed for general cooking purposes. 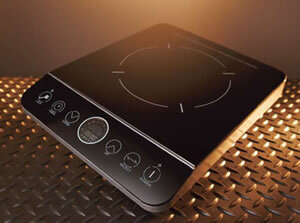 The company also makes double- and four-hob cookers for more serious cooking. “These induction cookers can be easily cleaned by wiping with a wet cloth and mild detergent. Normal spillage from pots during cooking will not impair their efficiency,” Ms Luo notes. 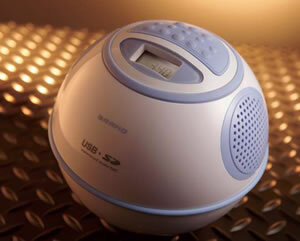 Contributing to home enjoyment, Hong Kong’s Nicetex Electronics Ltd turns a basic home necessity — the radio — into a showcase of creativity with its waterproof media player model NE-501, which is shaped like a six-inch ball that floats on water. “The model has an IPX7 rating, which means that it can withstand being one metre under water for 30 minutes. It is designed for use in swimming pools and bathtubs,” says Director Ricky Chan, adding that the FOB Hong Kong unit price is US$28. A home feels extra warm with glass heaters from Chinese mainland firm Ningbo Yinzhou Redwood Electric Mfy Co Ltd. They come in different designs, shapes and sizes, such as floor-mounted model CG240PM100 featuring a thin sheet of black glass measuring 600x400mm that sports a fire pattern to imitate a fireplace. A bigger version measuring 1,200x600mm is also available. 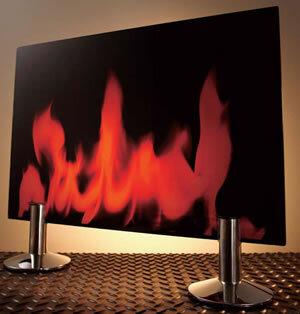 “These glass heaters are only 10mm thick, which makes them very slim and goodlooking. Unlike traditional heaters, they are popular for both their functionality and decorative appeal,” says General Manager Xiaoyong Chen. Savvy and sophisticated appliances such as these certainly bring home the perfect answer to the everyday needs of modern consumers.